In figure 1 (you can see three barrel side views- complete with front and rear sights), barrel 3 shows what happens to the bullet path when the front sight is raised. If you want to raise your point of impact of the fired round - then lower the front post. 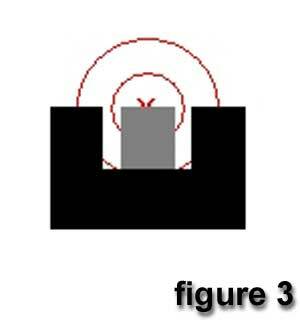 In figure 1, barrel 2 shows what happens to the bullet path when the front sight is lowered. Remember move the front sight's windage in the opposite direction you want the desired point of impact to be on the target. This means - If I needed the point of impact to move further right - I would move the front sight to the left. 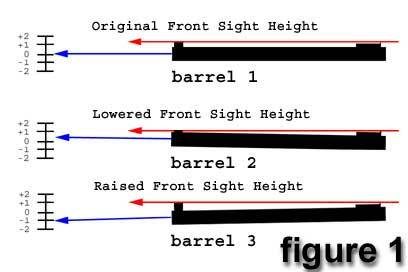 Figure 2 below shows a view of (top of the barrel including both front and rear sights) what happens to the bullet path when you move the front sight post to the left or to the right. Barrel 2 shows that when you move the front sight post to the left, the bullet path moves to the right. Barrel 3 shows that when you move the front sight post to the right, the bullet path moves to the left. 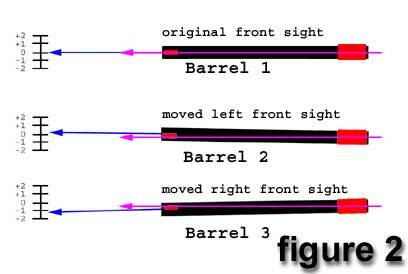 Figure 3 shows the sight picture of each barrel in both figures 1 and 2.